There’s an expression “Use a picture. It says a thousand words”. But does that really matter when it comes to your business photography? Should you spend time and/or money on ways to improve your business photography? If you’re reading this article, I suspect you already agree that you should. You understand that you have around 5 seconds to capture a customer/guests attention. Your photography needs to be both beautiful and also capture the feeling of what it will be like for your customers when they purchase. 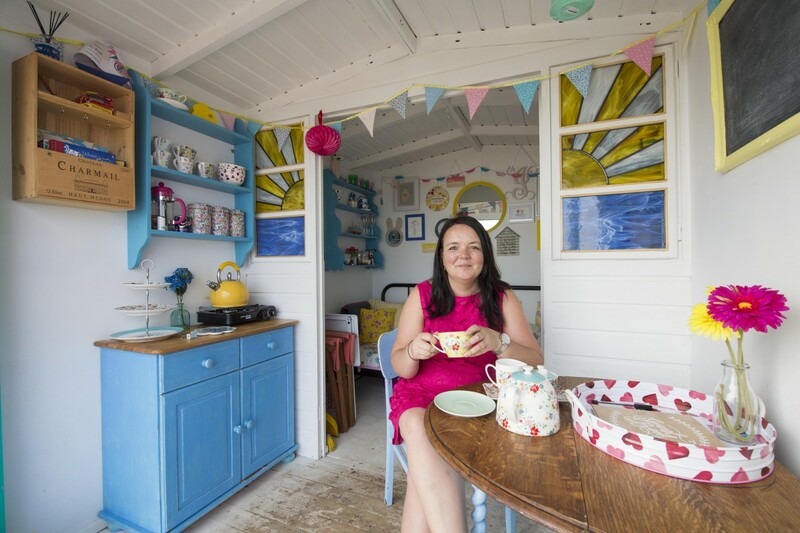 If I look back over the last three years of running Millie’s Beach Huts, I’m a little embarrassed by some of the photographs that I’ve used both across our website but social media too. As I’ve tried and tested different ways to improve my photography, I’ve also seen the impact that it’s had. Over time, I’ve worked out the best ways to improve my photography and increase bookings. When it comes to accommodation, travel, days out and of course beach hut hire, if you’ve spent weeks and months on your decor, a great photograph really can say a thousand words. And hey, we can’t ignore the fact that we live in an era of social media platforms that encourage others to share great images too. Is there really any better way is there to market your business? I know it’s not just beach hut hire owners that struggle with capturing a feeling and ‘depth’ versus specific product or aspect of their business. How do you get around this if you aren’t ready to invest in a professional camera and lenses, flashes etc? Can you do it with that little thing called a Smartphone in your picture? Olloclip Lens – one of the most popular smartphone lens’ on the market, it comes with a wide angle lens, fisheye lens and two macro lenses. The wide-angle lens is particularly helpful for areas like a beach hut that you are trying to capture a tight indoor space. It captures nearly doubles your iPhone camera’s field of view, helpful for those group photos too! With four lenses in one, it retails from £60 but along with improving your photography if you do regularly do video or facebook lives from your phone, it will improve the appearance of these too. Photo Editor Apps – if you are familiar with Instagram and Facebook, you may rely on those little things called filters! They seem to just improve photos in seconds! But what if you could apply even more precision to the changes you want to make to your photos? Filters, contrast, remove shadows, cropping and even applying those great ‘blur’ effects? There are now a number of apps that you can download to do this. My own firm favourite is Snapseed. Available in iTunes, Snapseed is a professional photo editor developed by google. You can vary a number of aspects of your photograph to help with shadows, contrast, white balance. You can even apply filters and that blur effect I mentioned. It’s free to download and can really help enhance your smartphone photographs in seconds. #2 Use Props and People too! A really simple way to improve your photography is to show your business or product being ‘used’. Whether you lay a table with your crockery and china or add some flowers, all of these are gentle ‘nods’ to your business having ‘life’ and will enhance a photograph. Do be careful not to ‘overdress’ a photograph. Show off your business strengths individually rather than trying to cram it all in to avoid looking ‘cluttered’. 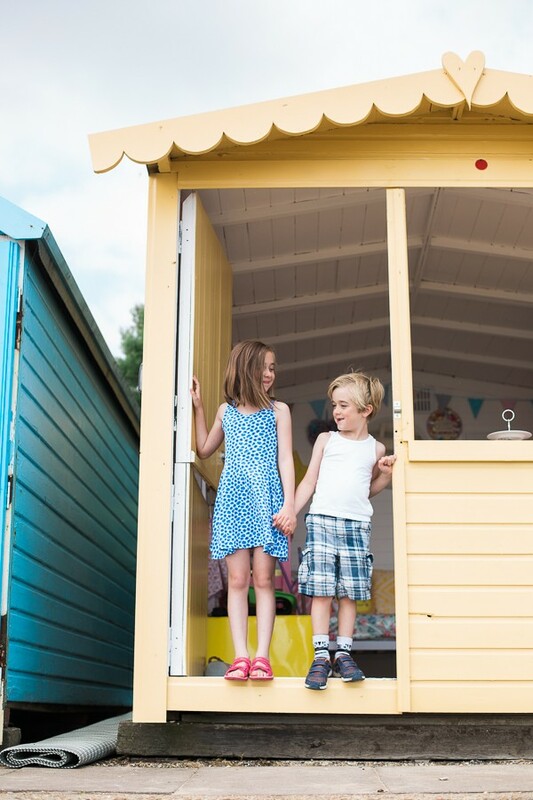 With my own beach hut business, there really is no greater impact than showing a beach hut being used. I actively encourage all our guests to share their own photos. 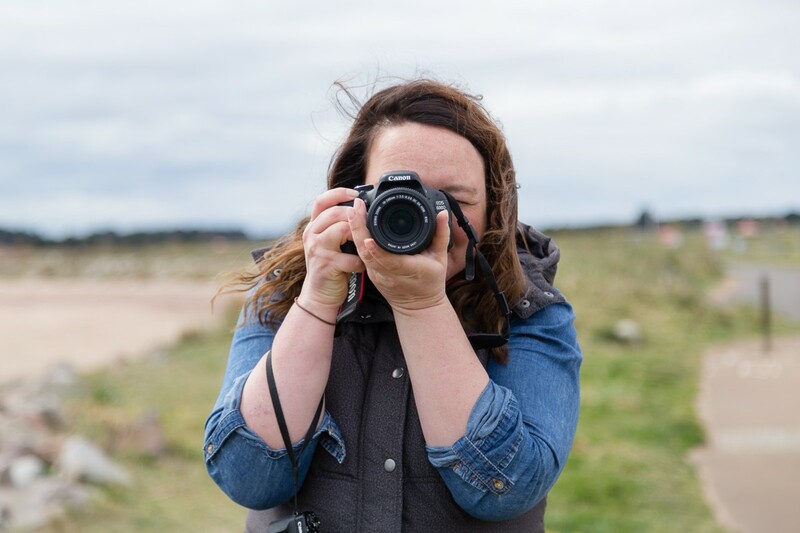 Time and time again, it’s these photos that ‘sell’ our huts, so bring this learning into your own business photography. Grab some friends and family or even the dog and create photos that bring your business to life. Help your customer feel like they are there already! Whether you are considering a point and shoot or a DSLR, investing in professional camera should not be a decision made lightly. Cost, maintenance, usage, hobby versus professional and type of photography should all be considered. If you are likely to stay on auto mode (see lessons below) and only looking to improve photography for ad-hoc business images, do you really need an expensive camera? While I did buy a DSLR just over a year ago, between obtaining professional photography images and using apps and lens on my smartphones, I’ve not really used it for my business. Instead, it’s been more for my personal enjoyment. But if you have already decided that you’d like to make the investment, then you could consider buying a second-hand camera and lenses. I can personally recommend both MPB and WEX who I used to purchase my own. Just over a year ago I invested in a DSLR camera and my very first lens. I have no plans to be a professional photographer and I value the skills that professionals have. In fact, I’m in awe of many photographers and the stunning images they produce but I do enjoy taking a ‘LOT’ of photographs. So, I knew by increasing my own skills, I could increase the number of images that I was happy using our website and social media too. But the thing is, just because you have the right equipment, doesn’t mean you know how to use it! So if you feel you have great photography equipment and still not happy with your images, then I’d encourage you to get some help. 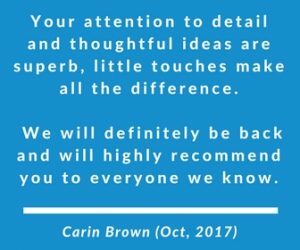 While you may be able to pick up some hints and tips through podcasts and blogs, if you can, I’d book onto a workshop or 1:1 lesson to accelerate your learning. Makelight runs a number of online courses specifically targeted at creators and business owners. From beautifying your Instagram to photography styling, these may be great if you are unable to attend a workshop or tuition in person. Me? Well, I’ve personally attended both a workshop and had 1:1 tuition. I took part in a workshop run by Julie Christie Photography last March (2016) but just yesterday had a 1:1 lesson with Anne Johnston Photography. Why both? Well, they say practice makes perfect and I’d def slipped back into auto mode on my DSLR camera over the last year. I also now have a much clearer idea of the types of photographs I want to take for both the business and myself personally. Booking a few hours 1:1 tuition with Anne was perfect. I not only got my confidence back but was able to focus on particular problems that I was having (versus a group learning environment). We even managed to spend a decent amount of time talking about motion. It’s something I need to get better and better at particularly given a highly energetic spaniel called Millie. Anne was kind enough to do a LOT of star jumps to help me practice and test technique (p.s you can expect a little blog of its own all about our half day together soon!). 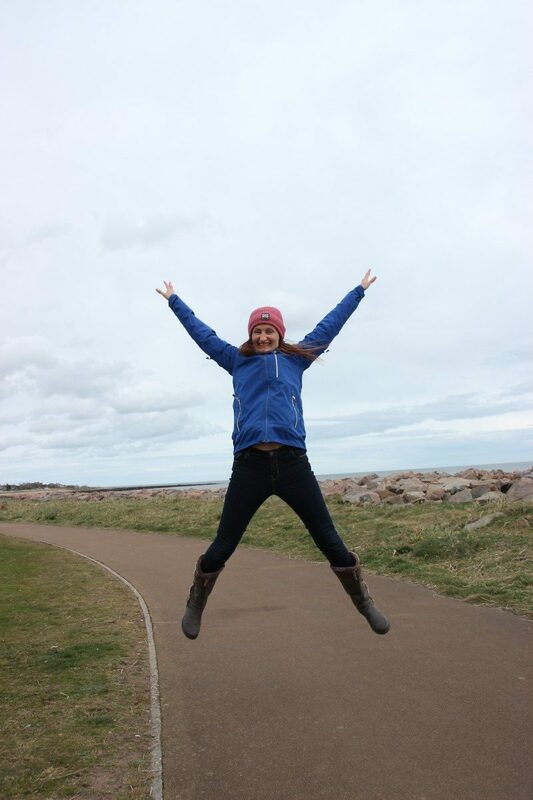 Meet Anne – Star jumps to help practice taking photographs!! If you are reading the above and thinking OMG, what a lot of work, there is another option. Hire a professional! It’s obvious, isn’t it? When your business and sales rely on your being able to showcase a product or experience, why would you not hire a professional who knows what they are doing? I know, I know. You don’t want to spend the money. You think they are expensive. But really? As a business owner, you do need to understand your strengths and weaknesses and there are some jobs you just shouldn’t do. It’s also worth bearing in mind that for press releases and magazine features, it’s likely that they will require a photography of you ‘in’ your business. Unless you are a pro with clicker and ability to set up a shot with yourself in it that you’d be happy being shared in press/media, then I’d encourage you to book a session with a professional photographer. It was for that reason that I personally invested in professional headshots and I also purchased images that were taken during a photo shoot for a Mail on Sunday article. Just this week, I’ve been able to reuse these for a journalist request in relation to a new magazine article. That initial investment has continued to pay itself back and I can ensure I don’t miss out on opportunities due to lack of high-quality images. How much extra business would you need to generate to cover that cost? Now you have that number, work out what you need to do to generate it and put the money aside. I can promise you that it will pay itself back. If you did your own photography, how much time and equipment/apps etc would that take? Calculate the value of your time and work out if it would be best placed elsewhere in your business. It would? It’s time to book a professional. Do spend a bit of time on your research and choose a photographer that best fits with your brand. Price may be a factor but remember that it’s the images and ‘feeling’ of the photographs that are the most important aspect of booking a session. Creating great photography takes effort, skill and talent. While there really is no substitute to hiring a professional photographer, you can over time work on improving your photography and ensure that all of your images represent you and your business. You can even start with your smartphone and have a little fun too! Do let me know your views in the comments. Do you take you own photographs? Do you have any tips and hints for other business owners? Or have you invested in professional photography? Great advice here, Vicky and thanks Cara. Not everyone has the budget to hire a professional photographer but there’s so much you can do yourself to improve your own skills as you’ve proved. The Olloclip is a good shout. Fab for doing behind the scenes photos and Facebook Live videos. The wee macro lenses on it are fun too.